The Nokia Lumia 625 was released for Rogers Canada in August 2013. The Lumia 625 was available in orange, green, yellow and white. This model was released running Windows 8 and can now be upgraded to windows 8.1. 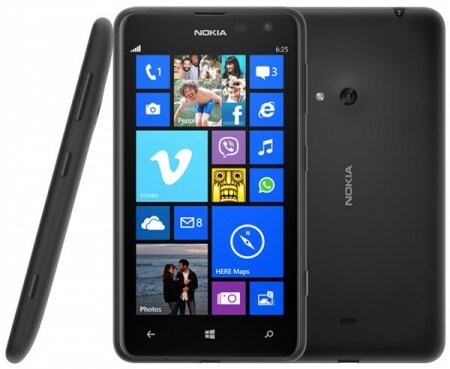 The Lumia 625 has 8GB of internal storage and be externally expanded up to 64GB. It has a 4.7″ IPS LCD touch screen with Corning Gorilla Glass. It also has a 5MP camera, with a 1080p video recorder, and a front-facing camera. This camera has LED flash, geo-tagging and touch focus. The Lumia 635 also has a dual-core processor and Adreno 305, allowing you to browse and game effortlessly compared to other Windows models. This device is ideal if you’re looking for a simple-to-use smartphone. Windows is minimalistic making it very user-friendly. Once unlocked, this device can be used with compatible networks only. Unlocking your Rogers Nokia Lumia 625 is fast, simple and 100% guaranteed by Cellunlocker.net. Unlock your Rogers Nokia Lumia 625 with Cellunlocker.net today and receive your unlock pin within 24 hours! Why Unlock your Rogers Nokia Lumia 625 with Cellunlocker.net? Unlock Your Rogers Nokia Lumia 625 Today!